There is a great amount of research that has demonstrated the harmful effects of different types of electromagnetic radiation on the human body as a cause of cancer and many other diseases. Personally I consider, by far, the biggest threat posed by electromagnetic radiation to the average modern person is mobile phone radiation. If you are old enough to remember the 1980s, before there were mobile phones, there was a new type of consumer device that went from almost unknown to almost ubiquitous during this decade — the microwave oven. Back in those days, and even into the 1990s, people were told continually by the experts of the risks of radiation leaking out of microwave ovens. You could even buy (and can probably still buy) leak detectors to determine if any of the metal radiation shielding built into the oven had failed and if any of the radiation was leaking out. The thing is, mobile phone (cell phone) radiation is essentially exactly the same type of radiation as microwave oven radiation. The only difference is that the mobile phone radiation is many times less powerful, and it contains a very subtle change that allows the phone call information to be added on top of the pure “carrier” signal, and the phone transmitter is located right next to your brain rather than several feet away completely surrounded by a metal box. This section is only for people interested in the technical details of why microwave oven radiation and mobile phone radiation are essentially exactly the same type. It also explains the details of signal strength, and how the distance to the radiation source affects the strength of the radiation. If you wish to skip this technical part you can click here to go on to the next section. The addition of the information signal (called “modulation”) to the carrier most probably makes absolutely no difference to the health effects. In any case, it would be pretty much completely impossible for it to make the mobile phone radiation any less harmful (than the equivalent amount of microwave oven radiation), though possibly (but I think quite unlikely) it could make it more harmful. The frequency that most microwave ovens operate at is 2450 megahertz (MHz). In Australia, there are four bands currently in use for mobile phones (and in other countries this is very similar or identical). These are CDMA 800 MHz, GSM 900 MHz, GSM 1800 MHz, and UMTS 2100 MHz (the last one being used for 3G phones). In terms of the electromagnetic spectrum, 1800, 2100, and 2450 are pretty much exactly the same thing, and even 800 and 900 are not really all that different to 2450. If it seems strange that 900 and 2450 may not be that much different, consider that light is also electromagnetic radiation. Red light has a frequency of about 400 terahertz (THz, one THz equals 1,000,000 MHz). Violet light, at the opposite end of the light spectrum, has a frequency of about 700 THz. If you compare 400 and 700, they have a ratio of about two (one is about double the other), and they are different colours, but they are both still light. The frequency of light is about 500,000 times (not 2 or 3 times) different to the frequency of microwave (i.e. mobile phone) radiation. Some websites claim (incorrectly) that water has a resonant frequency of 2450 MHz (meaning that it very easily absorbs radiation of this exact frequency), and that this is why this frequency was chosen for microwave ovens. If this was the case, then microwave oven radiation might be significantly different to mobile phone radiation from a health point of view. However, water in fact has a broad range of frequencies where it can absorb some amount of radiation. If 2450 MHz was a resonant frequency for water, only the very surface of your food would heat up (since the radiation would essentially all be absorbed at the surface). In fact 2450 MHz was chosen because there were no significant uses for this freqency already for radio communications, for convenience of construction, and because it allows a reasonable amount of radiation penetration into the food. This all means that radiation at mobile phone frequencies is biologically extremely similar to microwave oven radiation. The basic rule is that signal strength falls off as the square of the distance to the source. That is, if you double the distance to the source, the signal strength would be four (two squared) times less. If you triple the distance, the signal strength would be nine times less, and so on. At 10 times the distance the signal strength is 100 times less and at 100 times the distance it would be 10,000 times less. Microwave ovens have an output of about 900 watts. 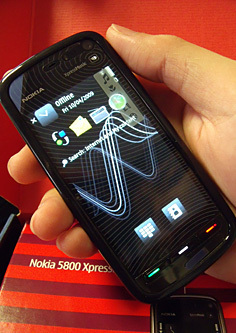 Mobile phones have a maximum output of about 1-2 watts. When there is good reception, the phone automatically lowers the signal strength (which increases the talk time before running down your battery). It can go as low as about 0.02 watts, which is much less than 1-2 watts. If you are getting poor reception, or are in a weak signal area (even if you are not getting poor reception), or if there are buildings in the way, etc., your phone will be using the higher power levels up to the maximum of 1-2 watts. 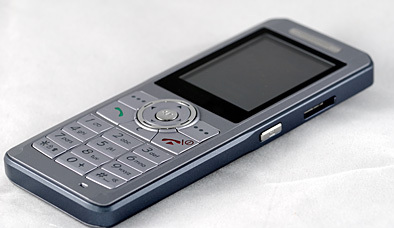 Now consider that a microwave oven is therefore about 1000 times more powerful than a mobile phone on maximum output. Using the square rule as explained above, exactly the same signal strength would be experienced from the two sources when the naked microwave oven transmitter is 32 times as far away as the mobile phone antenna. (Because 32 squared is 1024 which is close enough to 1000. If you are pedantic, you could make the microwave oven 31.62277660 times as far away as the mobile phone for this example). By naked transmitter I mean if the transmitter has absolutely no shielding around it whatsoever, which would be the case if you took away all the metal box (back, top, bottom, sides, and door) from your microwave oven. With a mobile phone held against your ear, the distance from the source of the signal (the antenna inside the phone) and the different parts of your brain is about 2-17 centimetres (1-7 inches). In the previous section we learned that the radiation from a mobile phone transmitting on full power at any given distance will be the same as that from a completely uncovered microwave oven transmitter about 32 times as far away from you as the phone is. Now if the closest part of your brain is 2 centimetres from the phone transmitter, 32 times that distance is only 64 centimetres. Which is to say that the part of your brain getting the most mobile phone radiation from your mobile phone antenna 2 cm away gets exactly the same amount of radiation as it would from a microwave oven on full power with no metal box around it if you were standing 64 centimetres away from it. Many people would feel uncomfortable standing that close to a running microwave oven that is fully encased in metal shielding, which is emitting (comparatively) almost zero radiation. Keep in mind that in the above example, the microwave would still be worse because your whole brain would be getting almost the same high amount of radiation from the microwave oven transmitter 64 cm away that only the small part of your brain that is 2 cm from your phone is getting from your phone. And the rest of your brain getting correspondingly less radiation. (As another example, the middle of your brain at 9 cm from the antenna would be getting the same radiation from the phone as it would from a completely unshielded microwave oven transmitter at 9 x 32 = 288 cm (or about 3 metres) away. How comfortable would you feel standing say 1-3 metres from a microwave oven running on full power with the door open, for hours at a time (the same amount of time as you would talk on your mobile phone for)? I can easily feel the effects of the radiation inside my head near my ear after about 1-2 minutes of talking without the speakerphone (that is, with the phone right up next to my head). It hurts. So for me there is no doubt that the radiation is cooking my brain (and making it hurt). If something is pressing on my skin I can feel that, and if is pressing hard enough it will hurt — but that is because my body has millions of pain receptors that are designed to sense physical touch and to transmit that information to my brain. If I can actually physically feel the effects of radiation which is of a type (wavelength and intensity) that never existed on Planet Earth before 1928, I cannot see how that can be a good thing. The best solution is simply to use your mobile phone less. Talk on a landline phone instead. This means a landline phone with a cord attached to the wall, not a radio-operated walkabout home phone. Or send a text (when texting, your phone only transmits for a few seconds, up to several seconds, when it is actually sending the text). Or talk to people in real life. I almost never call anyone on my mobile. I also almost never call people's mobile numbers, unless it's for a quick factual call. In Australia it is vastly expensive to call a mobile from a fixed phone but extremely cheap to call one fixed phone to another. And even if it was free for me to call people's mobiles from my landline phone, if I call their mobile then they are still going to be talking on their mobile. I realise that it is not as cool to talk on my landline phone as on my mobile phone. But then I can still remember when cigarette smoking was regarded as cool. Even if I am not old enough to remember when cigarette smoking was fervently claimed by all the important authorities as being completely harmless. Or when doctors used to advise patients to start smoking to help them with health problems like stress. It is easy to forget this when nowdays almost eveyone in the West knows (at least approximately, even if they do not know the exact statistics) that (in Western countries, at least) smoking is now the largest single preventable cause of death, and also the major single cause of cancer mortality, and that it causes 1 in 5 of all deaths from all causes. If you use the speakerphone, and hold your mobile at arms length, what happens to the signal going through your brain? Now the phone antenna is about 50-60 centimetres for your brain. Using the square rule as before, the strongest radiation experienced by a part of your brain goes from that of 2 cm away to about 50 cm away. Which means the maximum signal strength to your brain is 625 times less intense by using the speakerphone. (Since 25 squared is 625). It would be even more of an improvement if you have particularly long arms. The furthest part of your brain is now about 60 cm instead of about 15 cm, and it is getting 16 times less radiation. If the middle of your brain was then say 55 cm away instead of 9 cm, it is getting about 40 times less radiation when you use the speakerphone. The cases I have seen on TV about people getting brain cancer that they (and many doctors) have blamed on their mobile phone usage, have generally been tumours in the brain right next to or above the ear that the person uses for their mobile phone. When you consider how the inverse square law works, this is not surprising. (For example, the parts of the brain 6 cm away from the antenna are getting 9 times less radiation than the parts 2 cm away (since 6cm is 3 times as far away as 2 cm, and 3 squared = 3 x 3 = 9). Although your hand is still getting the same high level of radiation, I would rather have my hand cooked than my brain cooked. And if you rest the phone (while it's on speakerphone) on the table in front of you, then your hand won't be getting cooked either. That is a lot less radiation, which is why I always use my mobile on speakerphone, unless there is a particularly strong reason to not, in which case I never talk for very long. There is debate over whether using a headset reduces or increases the amount of radiation to your brain. Many opinions claim that it helps, but at least one study showed that it can increase the amount of radiation your brain is absorbing. Therefore using a headset is definitely no guarantee of safe mobile phone usage. If you have to use a mobile phone, use the speakerphone, and hold it at arm's length away from your head.